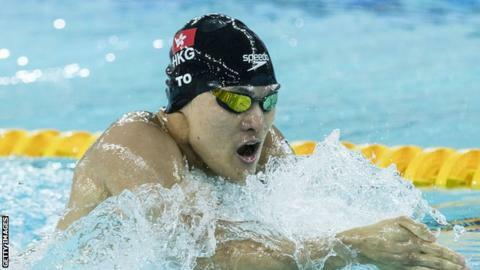 Swimmer Kenneth To, a Commonwealth gold medallist in 2014, has died at the age of 26 following a training session. The Hong Kong athlete was in the United States for a three-month training programme at the University of Florida. To helped Australia win world 4x100m medley silver in 2013 and then the 4x100m freestyle title at Glasgow 2014 before he began representing Hong Kong. “For a long time he was, pound for pound, the best swimmer,” said Australian Olympian James Magnussen. The Hong Kong Sports Institute said in a statement that To “felt unwell at a training session and was taken to hospital where sadly he passed away”. To also won the men’s overall title in the Fina Swimming World Cup in 2012 and claimed three medals in the World Swimming Championships later that year.